One would be hard pressed to find a person not jaded by the American political system. Lies and deception accepted as “part of the process” as if to imply that it is outside the politician’s control, and each is simply playing the game. Major news conglomerates stating contradictory “facts” about very important issues. What is one to believe? 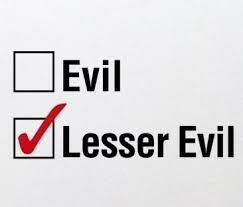 The country has seemingly given up on trying to fix a broken system and become satisfied with choosing the lesser of two evils. As the public opinion begins to shift in favor of marijuana legalization many who once cried out, “Think of the children!” are now saying the exact same statement but fighting for the other side. Many are beginning to see what hemp and cannabis can truly do for the individual and for the country. It is important to differentiate between smoking cannabis, and using essential CBD oils (which do not get you high) to treat an illness. Many within the marijuana opposition want the uninformed to think the battle is being fought over one’s right to smoke and get high. That aspect is a part of the debate, constitutional rights and all, but the least important of what is being fought for. Currently the United States is divided on the issue of cannabis. Despite leading medical organizations that produce documented proof of not only medical value, but in some cases curing what was once incurable, many choose not to listen. Most would heed the advice of groups such as Harvard Medical or the National Academy of Sciences of the United States of America, but it would seem that many have become so accustomed to being lied to that the truth is disregarded when it conflicts with what was once taught. Unfortunately Americans have been down this path before and it seems, unlike our government intent on repeating the same “mistake,” the people are choosing to find an alternate route by making their voices heard. There are many facets of American history that seem to repeat themselves. That can also be said for most major cultures in history. Unfortunately, most do not see the error in repeating a previous folly until it is too late. In some cases this misdirection is intentional. 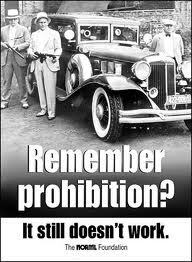 One such folly is currently in progress, and that is prohibition. One might think that a society founded on free and rational thinking would be able to stand back and reflect on it’s current corse of action and adjust to avoid repeating the same mistakes. However, when the sole motivation is shrouded in lies and financially backed by those who stand to profit within the mistake, it becomes much more difficult. Most of the major groups fighting to keep marijuana perceived as the most deadly drug known to man, just so happen to be funded by companies that stand to lose money with the rise of an all natural medicine that can be grown in one’s back yard. These groups preach from on high about the moral and compassionate reasons for opposing legalization when in reality the greedy Big Pharma is pulling all the strings. 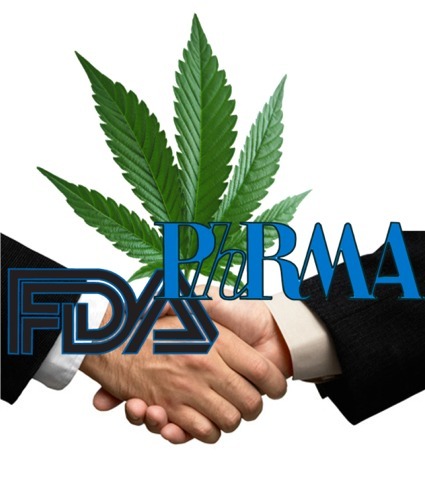 The Community Anti-Drug Coalition of America (CADCA) and the other groups leading the fight against the legalization, and more importantly, the decriminalization of cannabis, including the Partnership for Drug-Free Kids (formerly the Partnership for a Drug-Free America), derive a significant portion of their budget from opioid manufacturers and other pharmaceutical companies. killer drugs as a schedule 1. Americans now consume more than 80 percent of the world’s supply of oxycodone and almost 100 percent of hydrocodone opioids. Statistics like this show, without a doubt, how the American people are being misled by what are supposed to be trusted leaders. It obviously isn’t the government that is personally handing out these drugs (not far from it) but it is the government that allows this misappropriation to continue. The people put trust in the idea that elected officials will put the well-being of it’s citizens above personal profit. Unfortunately, this is not the case. The Nation obtained a confidential financial disclosure from the Partnership for Drug-Free Kids showing that the group’s largest donors include Purdue Pharma, the manufacturer of OxyContin, and Abbott Laboratories, maker of the opioid Vicodin. CADCA also counts Purdue Pharma as a major supporter, as well as Alkermes, the maker of a powerful and extremely controversial new painkiller called Zohydro. The drug, which was released to the public in March, has sparked a nationwide protest, since Zohydro is reportedly ten times stronger than OxyContin. Janssen Pharmaceutical, a Johnson & Johnson subsidiary that produces the painkiller Nucynta, and Pfizer, which manufactures several opioid products, are also CADCA sponsors. With primary financial backing that stand to lose billions, it is clear where the motivation comes from. Law enforcement is another facet of this battle that is clearly divided. Despite a recent poll of officers that found that nearly two-thirds believed marijuana laws should be reformed, strong institutional forces have kept nearly every law enforcement association opposed to cannabis reform. Beginning with the Reagan administration, police departments were encouraged to seize and sell property associated with drug busts, which dramatically increased their revenue. According to Justice Department data, between the years of 2002 and 2012, law enforcement agencies collected almost $1 billion from marijuana arrests. Bob Cooke, a former president of the California Narcotic Officers’ Association disagrees, claiming that law enforcement agencies oppose marijuana because it is inherently dangerous. Cooke was actually quoted saying, “One try and it can ruin your life.” It is incredible that statements like this are still being made. Either it is a conscious lie or Cooke is so ridiculously uninformed/uneducated that this is believed to be factual. Comments like this belong in antiquated media like “Reefer Madness” not coming form one whose very job it is to be acutely educated on exactly these types of topics. Data compiled by the American Civil Liberties Union, show that marijuana arrests account for more than half of all drug arrests nationwide. It is quite apparent that with dynamics like this in place, one would be inclined to focus primarily on marijuana as a source of funding. Its obvious what motivation this provides. It is important that the people know the truth when dealing with the upcoming elections. Each vote could bring the United States one step closer to realizing how much this plant can actually do for every citizen, and the nation as a whole. Some may still oppose legalization based on personal experience or strict religious views, however, it is the hope of The Last American Vagabond that knowing the true origin of resistance toward cannabis will shed light on the decades of lies and deception, and hopefully change perception, and maybe even opinion. Only the collective citizens of the United States can bring this nation closer to regaining what has been lost in the last seventy years. Many large battles have already been won, but do not misunderstand these individuals. The American people are only privy to a small amount of what they are truly capable of. With the amount of money that is riding on these law changes for these pharmaceutical companies, the war has only just begun. Keep up the good work. Enjoy reading your site. Hope all is well.